MT. 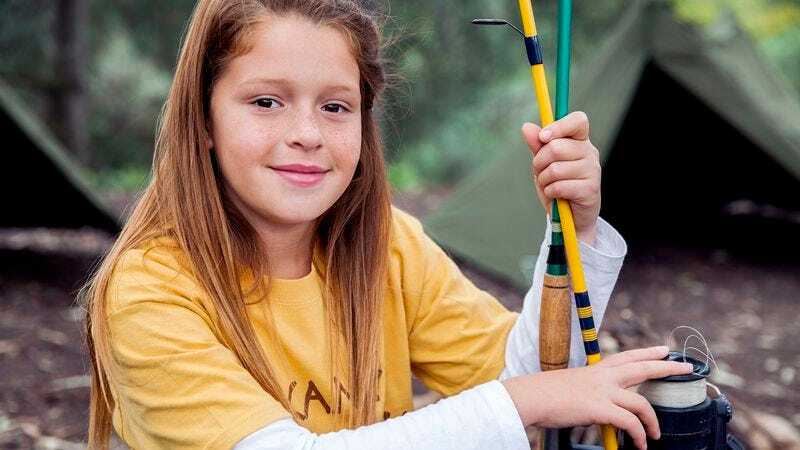 LEBANON, PA—While enjoying the first day of her four-week stay at North Winds Summer Camp, 12-year-old Tracy Rowley told reporters Monday how thrilled she is to meet her fellow girl campers who will spend the rest of the summer mercilessly teasing and harassing her. “I’m really looking forward to spending time with all the girls in my bunk—it’ll be really fun to stay up and talk every night after lights out,” Rowley said of the girls who will constantly make fun of her weight, call her “Brace-Face Trace” at every opportunity, and cause her to cry several times a week. “We’re going to be like sisters!” Reached for comment, Rowland’s parents told reporters that their daughter, whom they will be forced to pick up and bring home halfway through the camp session, will have a really fun and memorable summer at North Winds.